quiz time funsumerist what's in a name brand? When we eventually hit the lottery and fulfill our dream of opening the world’s largest chain of Skee Ball parlors, we’re going to name it “Consumerist’s’s’s’s” in honor of all the inexplicably abandoned apostrophes that rightfully belong in retailers’ names but have been left to die by marketing executives or company owners who didn’t want to seem too possessive. But this got us thinking about all the retailers and fast food chains that confuse people with their dropped apostrophes, and possibly inserted hyphens, periods, asterisks, etc. So to end this week, we thought we’d leave you with a quiz to see how well you know the names of these businesses. Keep in mind, the answers to the quiz below only deal with the public-facing names of a company. So if a store is called “John’s” but its corporate name is actually “John Inc.” the answer is still John’s. That should be a hint for those of you who read those financial newspapers and websites that insist on only using corporate names. Anyway, enough chit-chat… take the quiz, or just cheat by scrolling all the way down to the answers and explanations at the bottom of the page. The name that the company wants to be known as is JCPenney, but their official name is J. C. Penney Company, Inc.
Not that everyone remembers this all of the time: Consumerist once received a press release that spelled the company’s name three different ways in the same document. From the company itself. The store name is Walgreens, no apostrophe, after founder Charles R. Walgreen Sr.
Officially, the company is called Walgreen Co. Unofficially, everyone inserts an apostrophe. This name has an odd history. The company began as “Tim Horton Donuts,” named after original co-founder, hockey legend Tim Horton. Early on, the name was shortened to just “Tim Horton’s,” which stuck for decades until the apostrophe ran afoul of the bilingual signage laws in the province of Quebec. Instead of branding the chain “Chez Tim Horton” in only one province, they removed the apostrophe, which doesn’t make sense in any language. Founded as Kohl’s Department Store in 1962, the chain has dropped the “Department Store” over the years but has kept its apostrophe. The original restaurant was named “Chicken on the Run,” but that name didn’t catch on. The name Popeyes came from a character in The French Connection, and never had an apostrophe, though that doesn’t make much sense either since there is only one Popeye in the movie. Similar to Walgreens, this name has no apostrophe. The surname of the family who founded the company is Wegman, so presumably this chain of supermarkets is just celebrating all the members of that family. Another confusing family name. 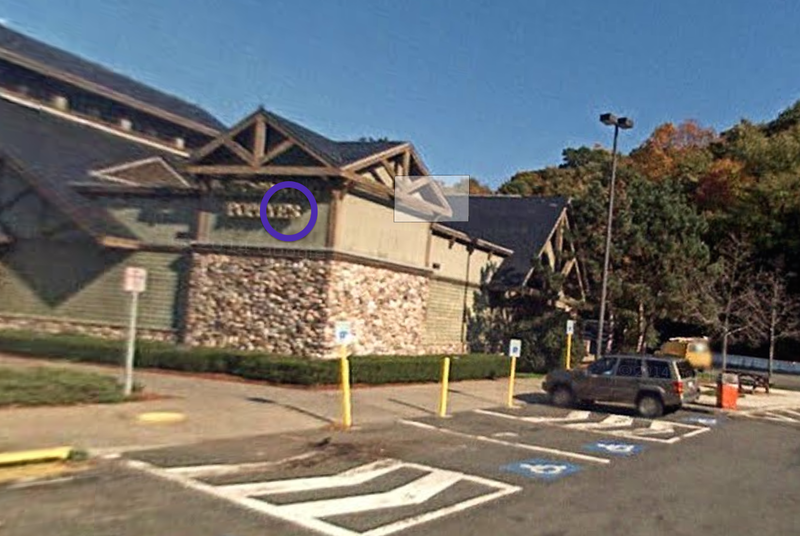 But unlike Wegmans or Walgreens, where the apostrophe is ditched in favor of the plural, Ralphs is actually the last name of supermarket founder George Albert Ralphs. 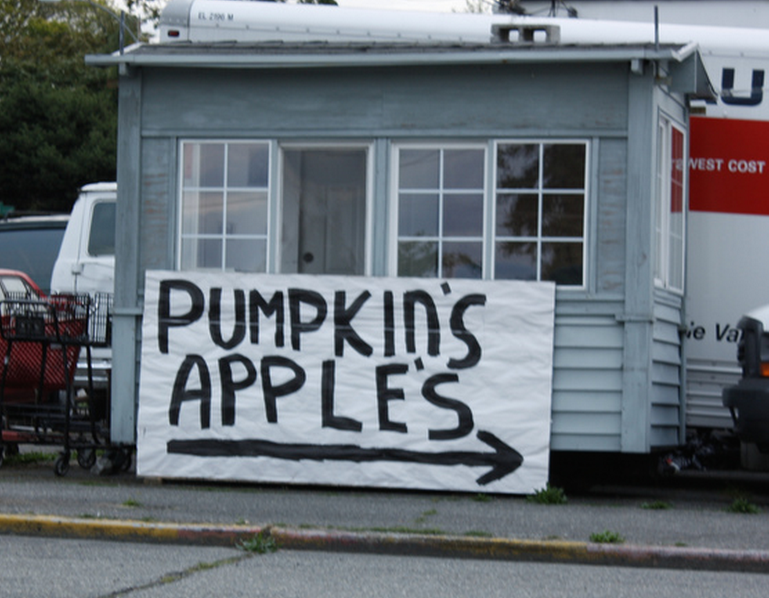 But rather than go with Ralphs’ or Ralphs’s, the store has been sans apostrophe since starting in 1873. 110 years ago, Marcus Loew opened his first theater in Ohio and slapped his name, in the possessive, on it. Then Lowe’s theaters grew until the Tisch family purchased it several decades later — and decided it didn’t need that apostrophe. That no-apostrophe Loews was then used for the corporation that would run the Tisch’s Loews hotel empire, along with the Loews theaters. Then Loews sold its movie venue business in 1985 to TriStar Pictures, which kept the name. The Loews theaters continued to use that name even as they were acquired, merged, and passed around for three decades, until finally merging with, and taking the name of AMC in 2005. The Loews name continues on in its hotel and resort business, which is still owned by the Loews Corporation. Despite what everyone in the area of upstate New York where I live says, the name of this chain is not Walmart’s. The current, hyphen-free version of the name came into use in 2008, and is how the company refers to itself in branding materials… but not corporate governance. Quiz: Craft Beer Or Roller Derby Girl? How Well Do You Know Companies’ Former Names?